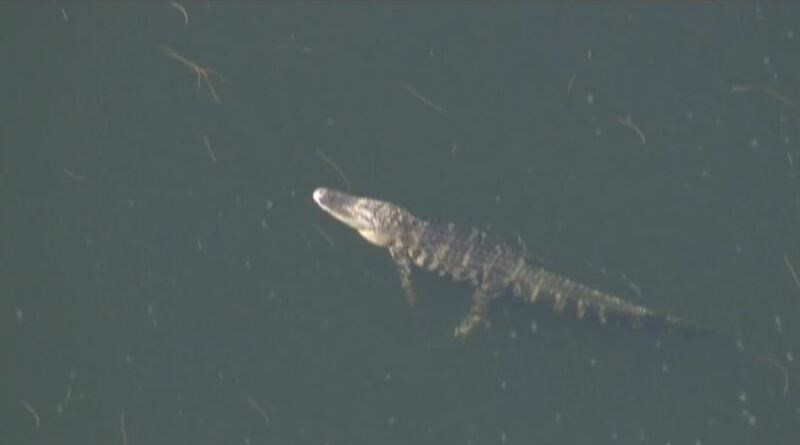 How do you live in Florida with Gators and not know how to stay away from the water where they have been seen. Lived there for 10 years and never had this issue but some people are naive enough to think that walking two snack sized morsels on strings next to gator infested waters is a great idea. 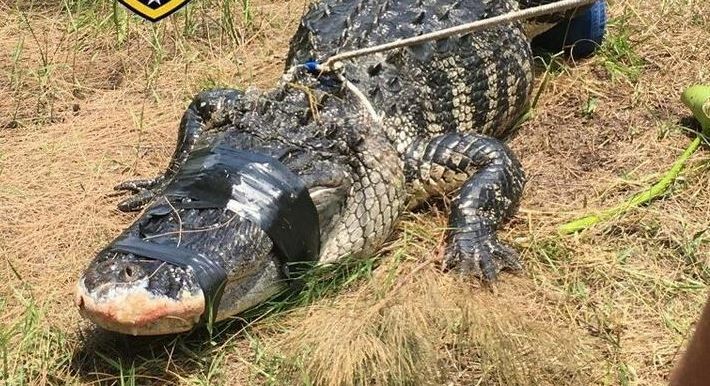 An arm has been found inside the body of an alligator which is believed to have dragged a woman to her death this morning while she was out walking her dogs. 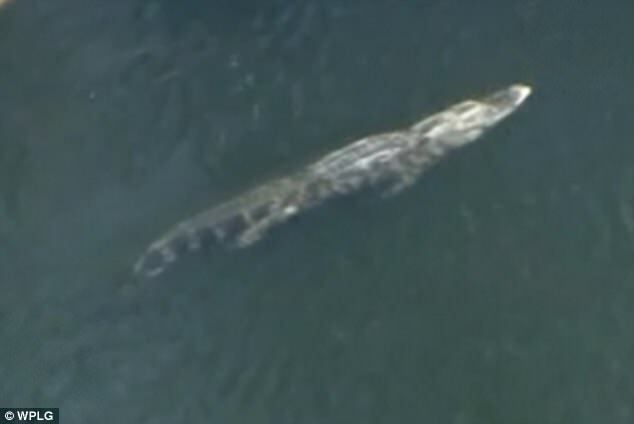 Park rangers eventually captured the enormous alligator at Silver Lakes Rotary Park in Davie, Florida, on Friday afternoon after spending hours searching for it in the large pond. When they cut it open, they discovered a human arm. They were called to the scene at 9.45am amid reports that Shizuka Matsuki, 47, had been dragged in to the water. She was out walking her dogs, one of which was found by the side of the water with a large, fresh wound on its coat when authorities arrived. Before divers could go into the water to look for the woman – who remains missing – they had to capture the beastly reptile which was filmed swimming ominously through the dark water not long after the alarm was raised. The alligator was filmed swimming in the water at Silver Lakes Rotary Park after reports that it dragged a woman into the water at 9.45am (above). In the afternoon, park rangers got the reptile out of the water and found a human arm inside it. Locals say the reptiles are known to frequent the water and that they know not to let their dogs off the leash there because of it. The alarm was raised at 9.45am when a man called 911 claiming to have seen the woman be taken into the water. He told police that when he got to the water’s edge, Matsuki had vanished and her dogs were standing with their leashes on. One had a fresh wound, he said. Sniper Calls Weapons Customer Service during a firefight!